Insights>Data>Man v Machine: Is Your Job at Risk? Man v Machine: Is Your Job at Risk? Thanks to machine learning, computers are increasingly able see and understand the world more like humans and to “think for themselves”. That means they’re also capable of taking over more and more of our jobs. This has many people worried about their future. But while it’s true that machines are faster, error-free, and unbiased, it doesn’t mean that they’re better than us at everything. Let’s lay it out. 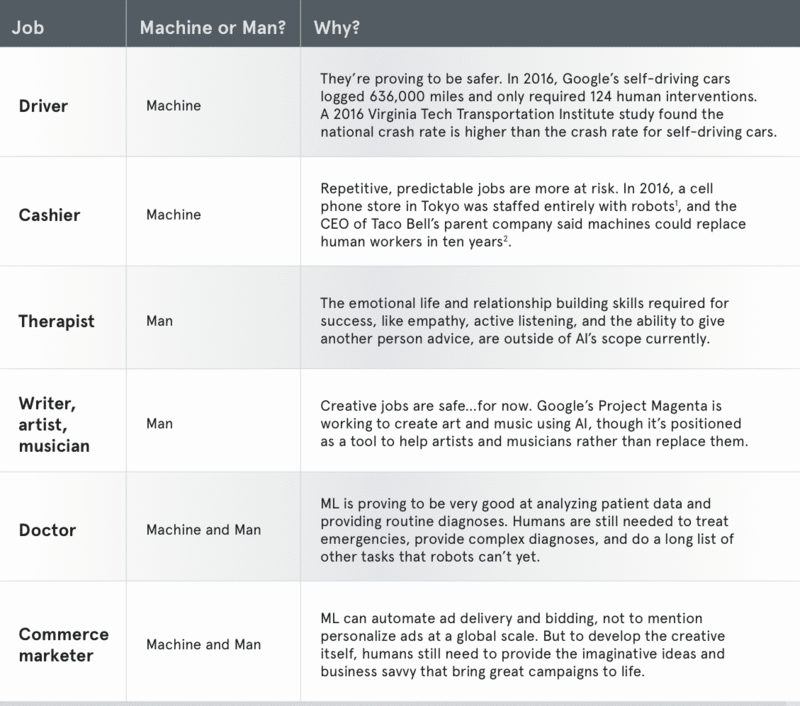 When it comes to handling these jobs, which brain wins: machine or human? Get this chart in PDF form here. For even more, download The Smart Marketer’s Guide to Machine Learning.